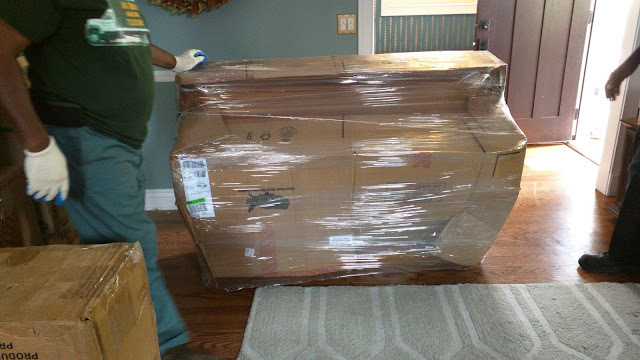 That right there is our upright piano as it begins it's journey into storage for what I hope is just six months (Sept, Oct, Nov, Dec, Jan, Feb, March). It was packed with cardboard, wrapped in plastic then covered in moving pads to settle in for a climate-controlled slumber. I know we'll be 'home' when it makes a reappearance. More on that at some point once I know the details and timing.